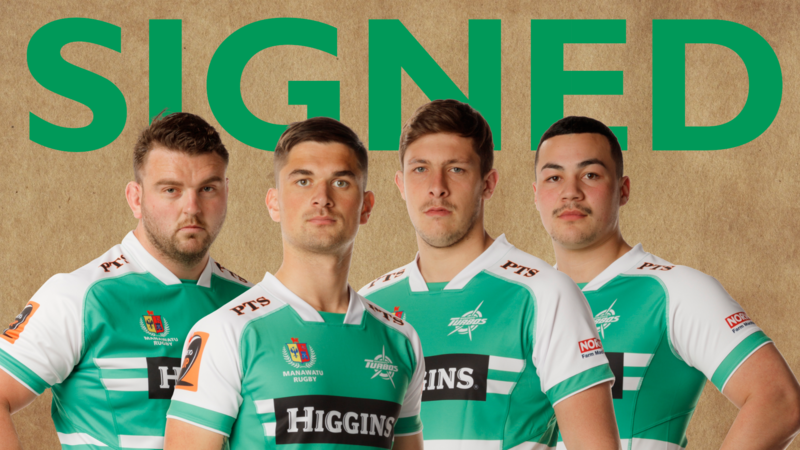 The Manawatu Turbos have confirmed the signings of four key players for their 2019 campaign. First five-eighth Otere Black, prop Fraser Armstrong, lock Liam Mitchell and loose forward Brayden Iose have all re-signed with the Turbos for another season. They join halfback Aaron Smith, midfielder Ngani Laumape, midfielder Rob Thompson and prop Sione Asi who were already under contract with the union. Black, 23, has been a mainstay in the Turbos' starting side since his debut in 2014. He has already racked up 45 games for his province. The Blues playmaker, who has also played for the Hurricanes, returned from a serious knee injury to play six games for the Turbos last year. This year he is targeting plenty of gametime with the Auckland-based Super Rugby franchise before returning home for the Mitre 10 Cup. He originally moved to the Turbos on loan from Auckland in 2015. But he quickly made the province his new home. He has played 36 games for the Turbos and picked up the Turbos' forward of the year gong in 2017. In 2018, he made his Super Rugby debut for the Hurricanes and he was rewarded with a full-contract with the franchise in 2019. Mitchell, 23, was a standout at blindside flanker and lock for the Turbos in 2018. His form earned him a contract with the Hurricanes in 2019. The athletic ball-carrier has played 14 games for Manawatu. Iose, 20, spent all of the 2018 season sidelined with a hip injury. But the loose forward has been the all-clear to take the field for the start of the Manawatu club season on March 16. Iose played two games in his debut season in 2017. The former New Zealand Secondary Schools 1st XV captain is one the most promising young loose forwards in the country. His pace and power mean he is a player to watch in 2019.